I am in need of advice. I have 220 slots. They are completely full, with more than 10 golds in the vault. I can no longer take out event crew for lack of space. I have two choices: buy more slots (it's 1,750 dilithium for next 5, and up from there before sale), or start airlocking. I'm leaning toward airlocking or a combination of both. I essentially have most of the best crew with at least one star. My general thinking is that Culber and Burnham are worth keeping as duplicates would get used (Culber already at 1/5 is in my top 10 Med). I didn't airlock Durango Troi because I thought there's a chance she'll be repeated for Campaigns plus she's top 5 SEC immortalized. Katrine I want to keep because if I get a 5th star, one copy will go in the freezer to be used in Janeway events. da Vinci, is amazing, and sees regular use, and so would a second copy but he's aways from immortalized. It sort of makes sense to keep the Gauntlet only crew because I could continue to get more of them. I recently just picked up locutus and caretaker, and will likely regret airlocking what I have if I could potentially have a second or third copy. Or I could just see drops of duplicates as honor. The last 5 basically just **tsk tsk**. Poor stats, no collections (or already completed collections), and even if event crew, so bad I don't know if they'd get use. Certainly you could ditch those last five with no real loss. Even with Madred being bonus crew this month he has not cracked a shuttle for me. You could also think about going ahead and freezing the immortal Katrine and using the 4/5 in its place wherever you have been using her. It's not ideal, obviously, but if space is critical, it could help. Thanks, that's a good idea on Katrine. I'm inclined toward airlocking those 5 because quite frankly they'd all go in the freezer if immortalized, and only come out for events. I think I only took those crew because my other choices were already immortalized. Other 1/5's I could airlock include Convergence Day Quark, Satan's Robot, Maid Marian, Vulcan Executioner and Revolutionary Damar & Enabran Tain. CD Quark, Satan's Robot and Maid Marian are in collections I haven't completed so I kind of want to keep them, Vulcan Executioner has a strong ship ability and strong SEC immortalized, and Damar/Tain while they rarely make it into a gauntlet, are cool characters. Might also be worth running the numbers on whether admiral janeway would crack a shuttle assuming janeway is a bonus for the voyager mega event. I would also say that I think Guinan is becoming somewhat overshadowed in gauntlet these days locutus starting proficiency is just insane these days. Admiral Janeway won't right now, and even immortalized, would only ever see use in events. I agree on Guinan, I have had the two extra since the days of her gauntlet, and have tried two copies in her 65% gauntlet, not that great. She rarely makes it in the gauntlet for me lately, but I use her sometimes for voyages. I've tossed Gul Madred and Suliban Reed. Let's see what that does for now. Before hucking 5* crew out of the airlock, are all of your 1*/2*/3* crew in the freezer and have you already airlocked useless 4* crew? Pretty much any 1/5* is going to beat a partially-fused 4* crew and has more room for improvement, while you can freeze an FF 4* and at least get closer to your next immortalization achievement. I say this because an aggressive strategy for leveling/freezing or airlocking should mean that 220 slots is more than enough. If you still need slots by the time you get to those last two items, Bateson is an easy choice because he is useful basically only in the Captain’s event and I don’t see that being re-run any time soon. Madred, Portal 63, and Reed can probably all go as well unless you are hurting for bonus crew in this event (Madred only). If you don’t use Janeway outside of events, she can go as well. For your dupes, I strongly advise keeping Katrine, Burnham, and the Caretaker. Freeze their immortal duplicates if you must and haven’t already, though losing an immortal Caretaker to the cryo vault might be hard for voyages. Losing a spare Locutus and Guinan to the freezer shouldn’t be a big hit to voyages and won’t affect gauntlet perfomance. Leonardo has a rare skill combo but it’s not very good until he is FF, you could probably do okay letting him go. Culber and Troi are strong at 1/5*, so could hold the fort down for you if their immortal duplicates aren’t already on ice. From your second list, I would consider the Executioner - you’ve got good SEC help from those two Trois and good ship abilities can be found in many crew. 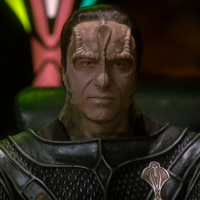 Tain and Damar help me in the gauntlet when Mirror Picard and Nechayev don’t have trait matches but if really pressed you only need one of the two...I lean towards keeping Damar because I think he’s gotten more 45% gauntlets than Tain. And if you have Mirror Picard or Nechayev and need slots for someone special, they could both be under consideration for a short, unprotected walk. Thanks for the detailed reply. The only 4* I have unfused and active are voyage only crew. Thot Gor is at 1/4 and Jannar at 1/4, I figure they'll get done eventually, and Ensign Picard/Colonel Worf are at 3/4 and Fierce Guinan/Dr McCoy at 1/4. I'm reluctant to airlock them but I guess I could. I think Bateson will go soon, and possibly Portal 63 though while average, there are only so many DIP/ENG crew. I hadn't considered freezing Caretaker/Locutus/Guinan and leveling up the ones I got as it means I losing nothing for gauntlet only for voyages. That's a good idea, something to consider. With a crew like that, you've got a bunch of legendary crew that you aren't using. If they're in the bottom 25% for their main skill among legendaries, get rid of them. Do you have Nagus Rom, for example, and is he really getting any use? Stop finishing top 1500 every time and you won't have crew slot issues. Pick and choose when you want a new crew and then go for it. Edit: Not being sarcastic, but if you remove the 1*/2*/3* from the equation, there are about 550 4* and 5*. You need to FF/FE and freeze about 2-3 new crew a week and usually 2 of them are gold. The only way to keep up is to spend a boatload of money. I am pretty sure most people (myself included) don't have that to spend on a game. Picking and choosing is the only way to avoid getting overrun by crew slot issues. I’ve got 225 slots and have no problem getting event crew out of the vault. You need to be willing to freeze 4* that are immortalized if they’re not being used on a regular basis.